Very professional staff and doctor. They was so helpful and gave me an appointment on the same day I was pleased and recommend anyone they are so caring. 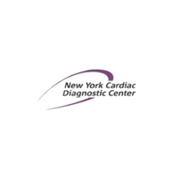 New York Cardiac Diagnostic Center founded in 1987. We are a highly specialized, full-service cardiac diagnostic facility with top rated, best in class NYC cardiologists & relationships with all major Manhattan hospitals.We are changing the way New Yorkers think about cardiologists, cardiac diagnosis & treatment. With world class doctors and the very latest in diagnostic equipment all under one roof, the bar has definitely been raised. We are the leaders in Manhattan for cardiac testing & diagnosis. We provide cardiac care of a standard that is recognized to be amongst the best in the world. It is the Manhattan Cardiologist’s commitment to his patients that has earned him the reputation of being one of NYC’s top cardiologists. Dr. Steven Reisman MD’s office specializes in taking exceptional care of each cardiology patient from the initial consultation to the post consultation period. The honor and privilege of caring for patients comes with the responsibility and dedication of the doctor’s staff to the utmost standard of excellence in patient care. If you have any questions for the best in class NYC cardiologist or would like to schedule a consultation or appointment, please feel free to contact our Upper East Side Cardiologist’s Office by number +1 (212) 860-0796; Midtown Manhattan Cardiologist’s Office +1 (212) 860-1650; Wall Street / Financial District Cardiologist’s Office +1 (212) 860-5404. Keywords: cardiologist midtown nyc, cardiologist nyc, heart doctor NYC, leading cardiologist in NYC, New York City leading cardiologist, Cardiology specialist in Midtown NYC, chest pain, tightness in chest, heart palpitations, syncope, arrhythmia treatment, heart arrhythmia treatment, shortness of breath, afib treatment, atrial fibrillation treatment, tachycardia treatment, cardiac arrest treatment, heart valve disease treatment, how to prevent heart disease, pad treatment, coronary artery disease treatment, stroke treatment, heart attack treatment, heart failure treatment, marfan syndrome treatment, high blood pressure treatment, hypertension treatment, metabolic syndrome treatment, high cholesterol treatment, pericarditis treatment, stress test, echo test.